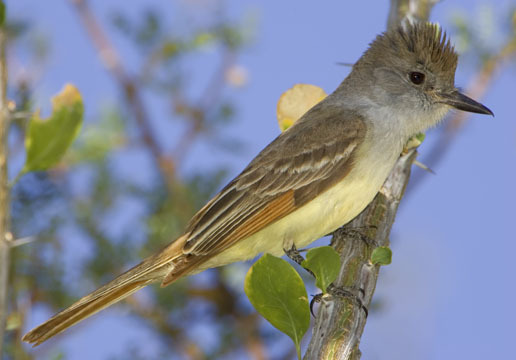 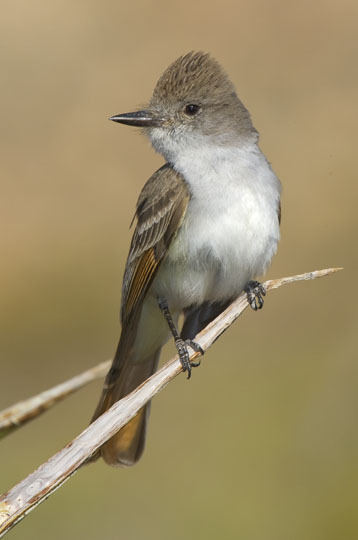 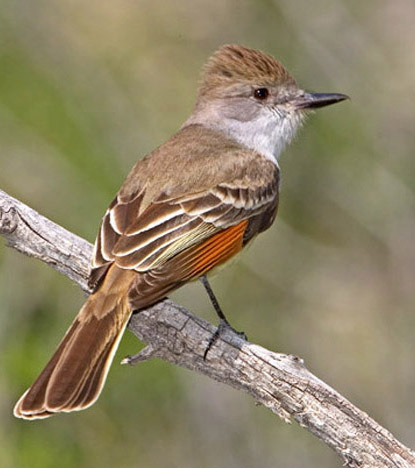 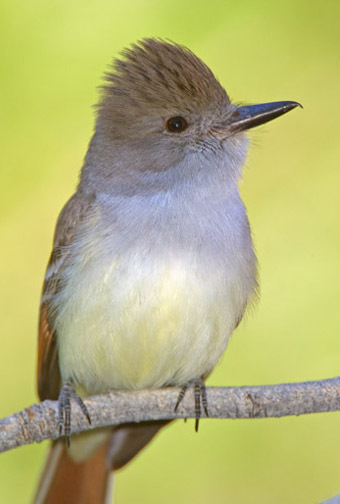 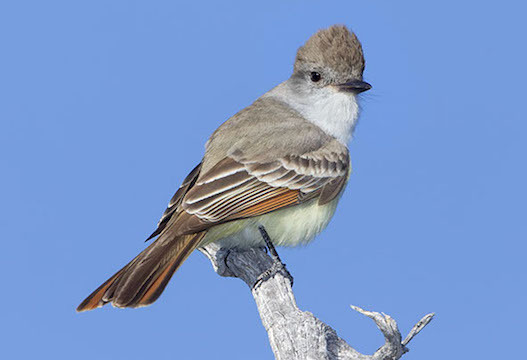 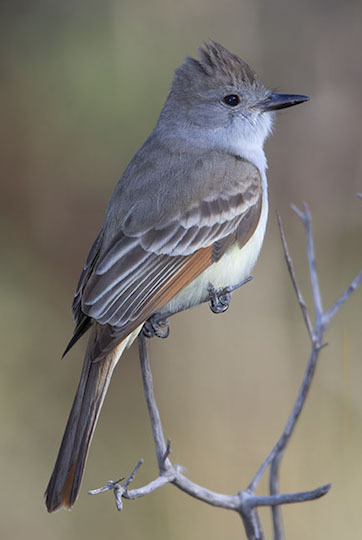 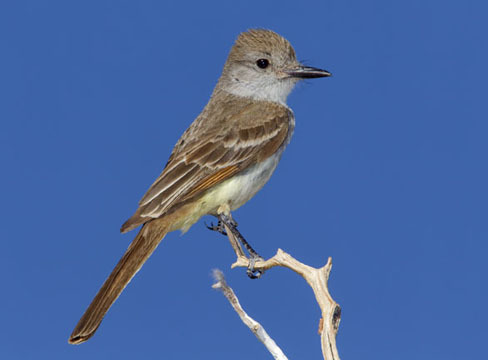 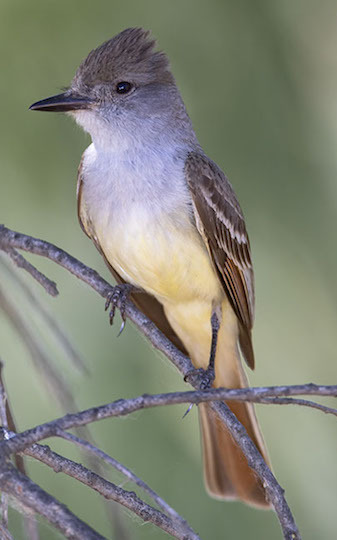 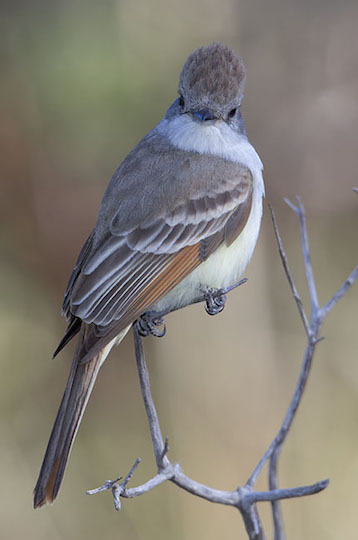 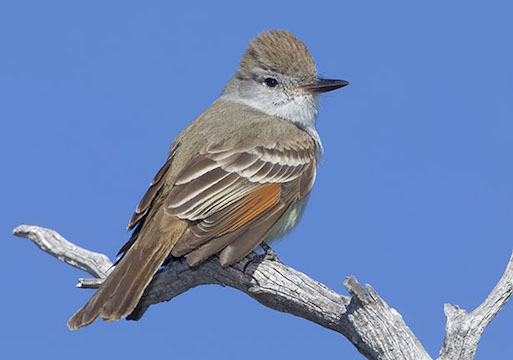 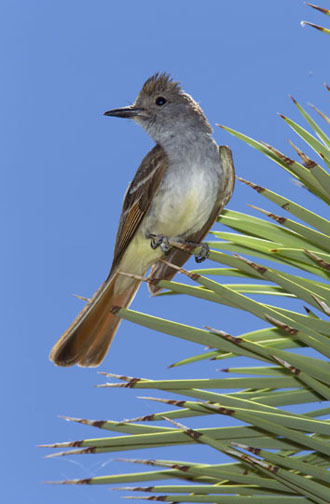 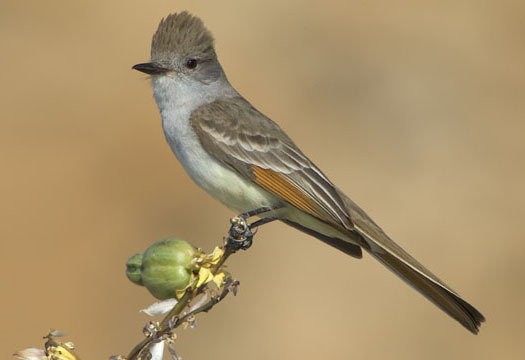 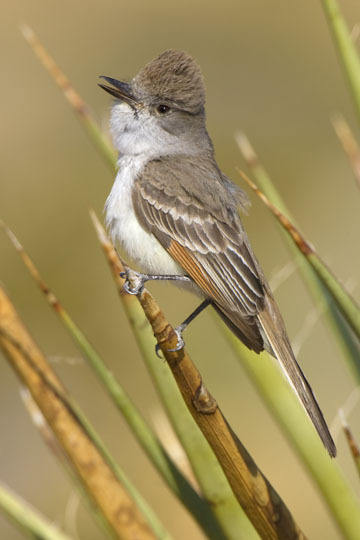 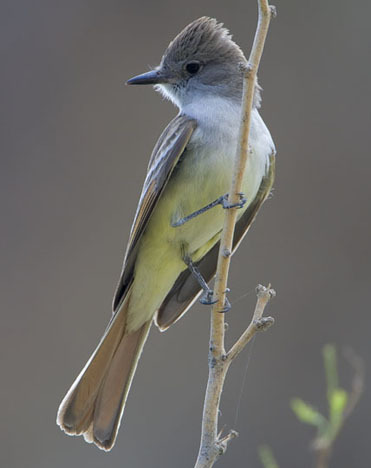 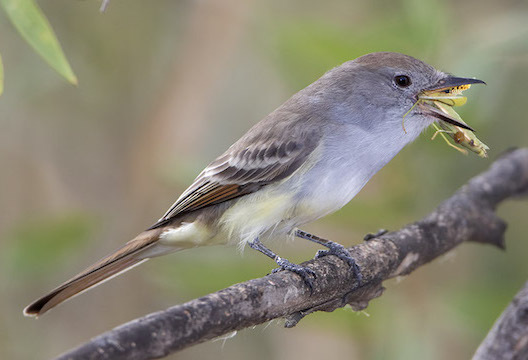 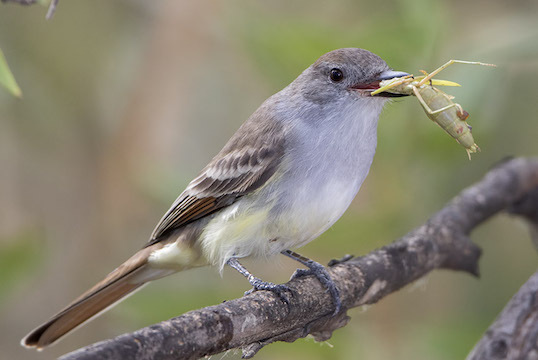 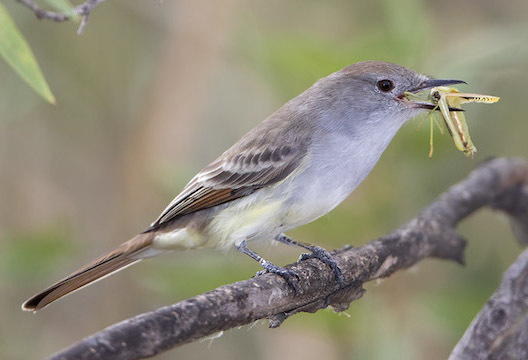 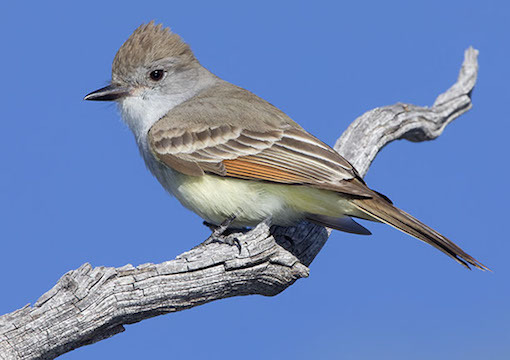 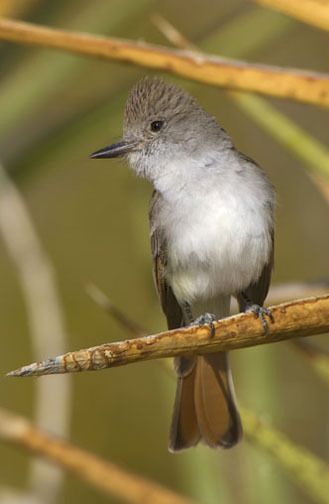 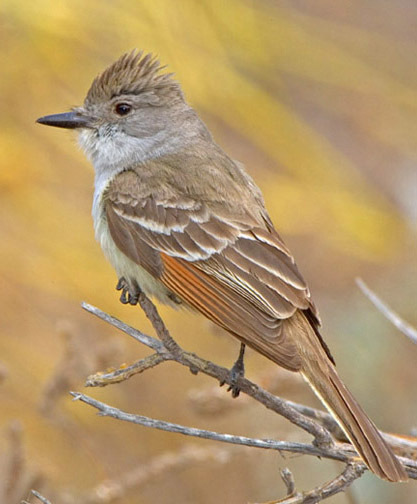 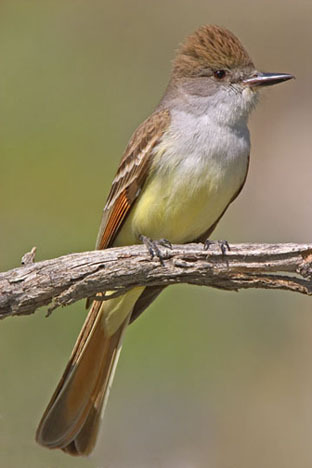 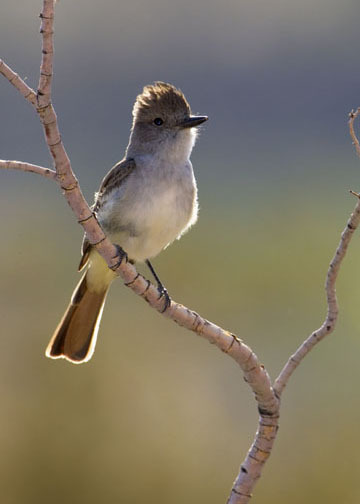 Ash-throated flycatchers are common summer residents in much of the western US; they are a somewhat smaller and paler version of the eastern great crested flycatcher and the southwestern brown-crested flycatcher. 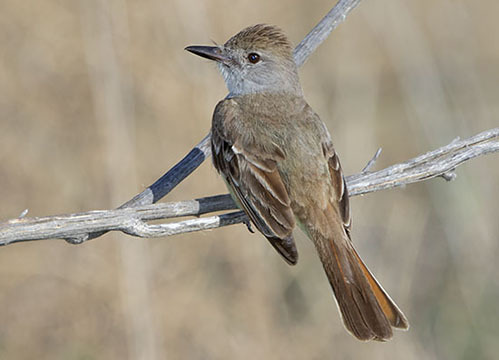 Like the latter species, ash-throats have yellowish bellies, short rounded crests, and rusty-red color in the tail and flight feathers. 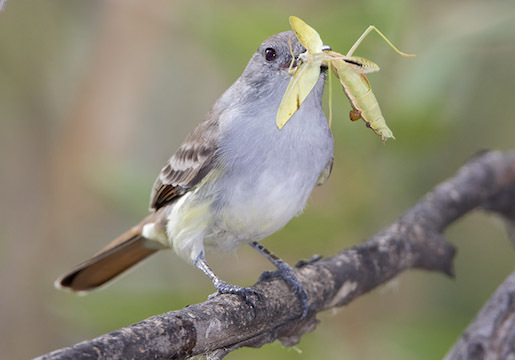 They perch in conspicuous places and fly out to grab insects, both in the air and on the ground (one of these is eating a preying mantis). 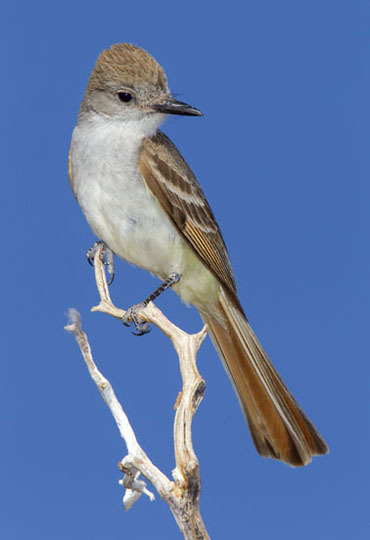 Ash-throats are often aggressive to other birds. 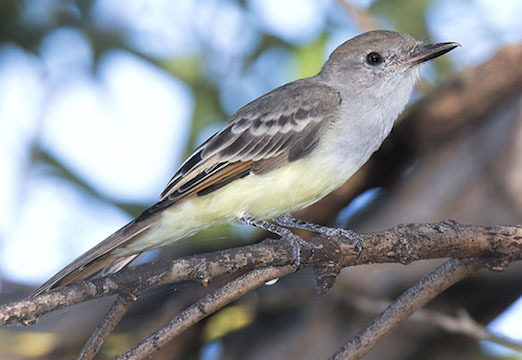 I took these pictures at Big Morongo Reserve, Joshua Tree National Park, and near Riverside, California.